Wild West Slot is a classic 5-reel and 10-payline online slot game from NextGen Gaming with a Wild West theme. There is a 1000 coin jackpot on offer during regular play, although you can win more with the SuperBet feature. 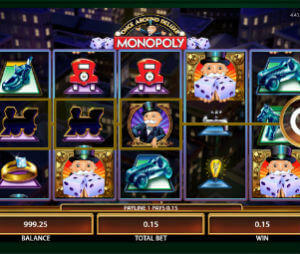 The game features scatters, wilds, free spins, and a minimum bet of just 0.01 per line, so it caters to a wide variety of players. The cartoon images are mixed with some wonderful animations when there is a win, to create a superb online experience unlike other Wild West themed online slots games you may have played. The slot’s backdrop is a cowboy bar, and it’s fitting to see cowboys, cowboy boots, a saloon, whiskey, and horses on the reels. Pretty much all the gaming options available to the player, including setting the virtual reels in motion, depict poker chips, which makes a lot of sense since the modern game of Texas Hold’em was commonly played in Texas saloons. The Wild West video slot can be played in practice mode before trying it out in real money mode, and the Wild West online slot can be played instantly in your web browser, with no download being necessary, you’ll just need a reliable internet connection. There is an extra feature in the Wild West online slot called the SuperBet feature. If you’re looking for a massive payout, then you definitely need to consider this bonus feature. Level 1 of SuperBet is enabled when betting an extra 20 coins per spin which adds a 2x multiplier to wild wins. Level 2 of the Superbet feature is an extra 50 coins every spin and adds a 5x multiplier to wild wins for those willing to place additional bets to create extra large wins. Wild West was in fact one of the first online slots to use the SuperBet feature. Besides this, there is also a cool gamble feature which lets players potentially double or quadruple their payouts after any winning spin when the correctly pick the right color or suit. Additionally, a fully optimized mobile version of Wild West was developed in 2014 for smartphones and tablets.